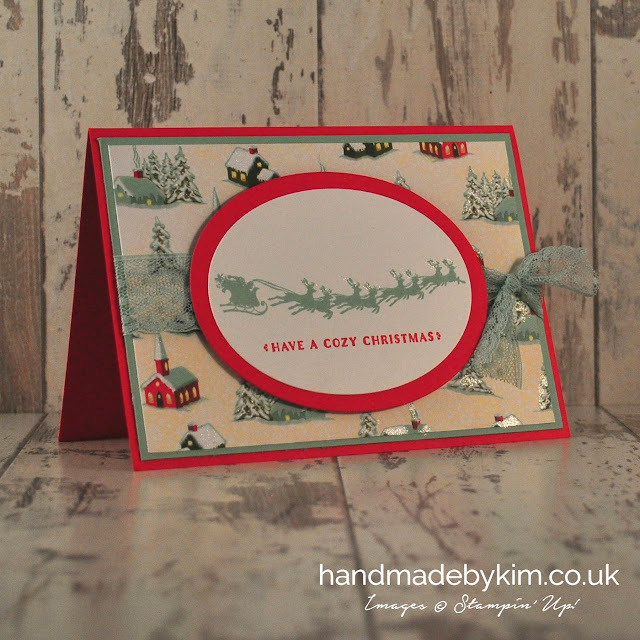 Today's card showcases the Home For Christmas DSP, cardstock pack and the Cozy Christmas stamp set. All 3 coordinate together perfectly. I just LOVE how easy Stampin' Up! make it for us to coordinate our handmade makes with matching stamps, DSP, cardstock, ribbon and embellishments. The coordinating product range is one of the main reasons I signed up as a demonstrator, almost two years ago now. That as well as the amazing discount, access to exclusive sneek peeks of new products and pre-orders, and the opportunity to attend events. Little did I know that I would make some really good friends that also share a passion for all things handmade. Lots of friends and fellow demonstrators are currently over in Belgium at a Stampin' Up! event. Unfortunatley I wasn't able to go due to commitments at work and a severe lack of annual leave remaining. I can't tell you have envious I am but I cannot wait to hear all about it in the coming weeks. To cut the centrepieces for these cards, I used the Ovals Collection Framelit Dies (for the card in the picture above) and the 2 1/2" and 2" Circle Punches (for the card in the picture below). Real Red and Mint Macaroon ink and cardstock matched perfectly with the DSP. All of the stamps used are from the Cozy Christmas stamp set, as you can see in the image below, this set also includes a stamp of one of the little houses you can see in the DSP. I LOVE it! 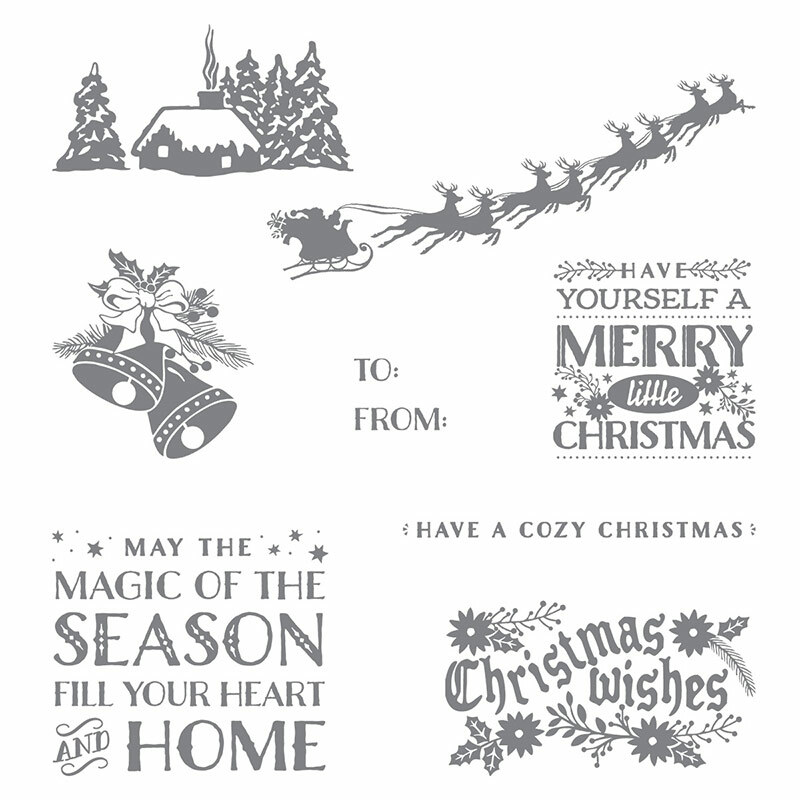 Some of these stamps are also going to be perfect for making tags for Christmas presents. I can't wait to get back into my craft room to give this a go. Unfortunatley that may not be until next week now as tomorrow is the first of two weekends where we will be working on decorating our living room and dining room. I can't say I am looking forward to it as its going to be hard work, but I can't wait to see the end results. While writing this post, I've heard about the awful news in Paris. My thoughts are with the people of Paris and family and friends of all of those people affected.